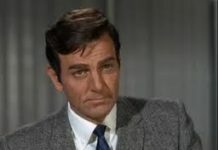 This article provides an overview of the Mod Squad TV series. 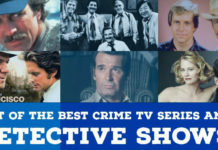 It includes an overview of the show’s premise and its characters. Also, it includes a list of the season episodes, a video of the opening credits, ratings and reviews and how to buy it on DVD. The Mod Squad is a television series that ran on ABC network from 1968 to 1973. The innovative and hip television series starred actors Michael Cole, Peggy Lipton, Clarence Williams III and Tige Andrews. 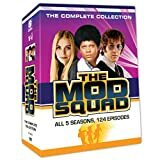 The Mod Squad TV series is a police crime drama featuring three young and hip crime fighters. The casting for the Mod Squad television series was intended to appeal primarily to a young audience. The basic premise of the Mod Squad television show is the police department offers several young people an opportunity to work fighting crime as an alternative to being incarcerated themselves. This was certainly a unique twist for a show in the 70’s. 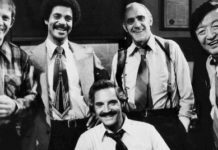 The TV show’s primary gimmick centered on the three cops using their youthful, hippie personas as a disguise to allow them to get close to the criminals they were investigating – somewhat of an undercover type of operation. The Squad was comprised of one white kid, one black kid, and one blonde girl. The team is led by Captain Greer, (Tige Andrews). The Mod Squad television show was moderately popular during its run of five seasons and 123 episodes. The “old school” show portrayed a multicultural society and dealt with issues of racial politics, drug culture, and counterculture in a progressive way. The executive producers of the series were the well-known Aaron Spelling and Danny Thomas. 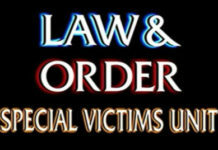 The series ran for five seasons with a total of 124 episodes. Following is a list of episodes for each season. The second season has 26 episodes. 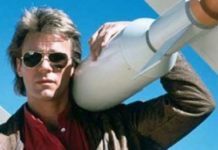 The third season has 24 episodes. Is There Anyone Left Is Santa Paula? Is That Justice? No, It’s Law. The fourth season has 24 episodes. The fifth season has 24 episodes. The Mod Squad has a rating of 7 out of 10 stars on IMDB and 7.9 out of 10 stars on TV.com. The DVD’s are rated 4 out of 5 stars on Amazon.com. If you’re interested in owning the series on DVD, its available at Amazon.com for just $27.50. The DVD box set includes all five season with 124 episodes. It has 20 individual discs. Some include bonus footage. This particular box set has a rating of 4.5 out of five stars. If you would like to learn more about the series, visit the Wikipedia page for more information. Also, check out other Police Crime Dramas on DVD. I give the Mod Squad 4 out of 5 stars. It is a classic, old school cop show.